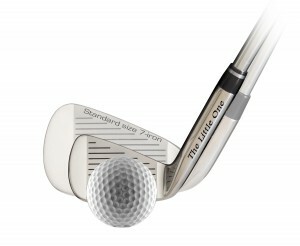 I first tried out the 7-iron version of The Little One several years ago and quickly saw the benefits claimed by the inventor and now the new PSP –which stands for Pure Sold Perfect—pitching wedge is available. 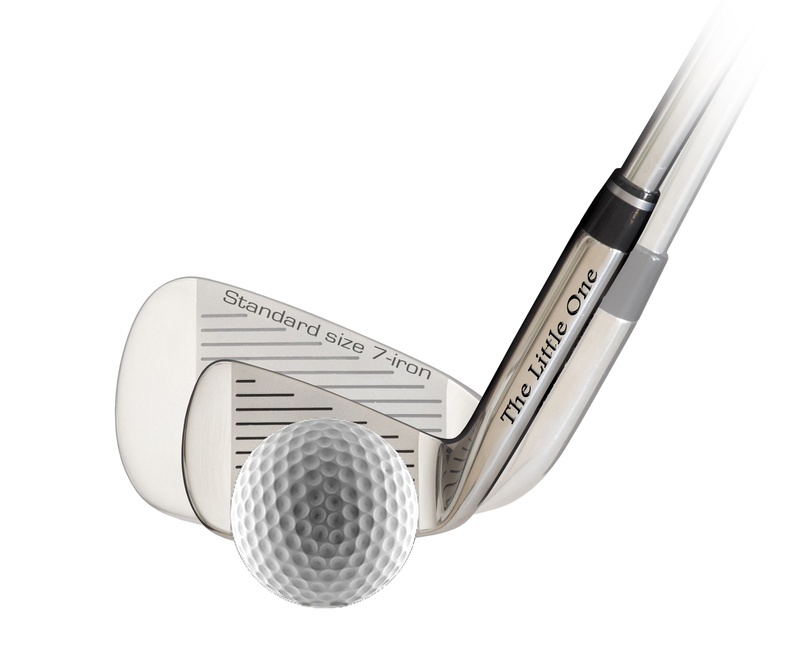 For those who may not be familiar with these practice irons, the Little One’s clubface is about half the size of a regular iron so for the new pitching wedge it is not very big. But that’s the point. A smaller clubhead has a smaller face and is an ideal way to train your mind and body to make solid sweet spot contact with the ball time after time. To practice, start by making some very short swings, pitches and chip shots from the edge of the green are good, then gradually work you way back and to making full swings. You will quickly find out two very important principles: swinging hard with the hands and arms doesn’t work and a slow accelerating tempo produces the best results. Dan Bonomo, president of PSP Golf makers of The Little One, told me a good practice plan is to use the club for 15 minutes for a couple of weeks and the results will be evident. (He actually said 90 days but I cheated and only did it for 14). The principles aren’t anything new but the PSP Little One works very well as a way to remind ourselves of their importance. Consistent practice with the Little One will make for more solid contact and better ball striking which of course are keys to lower scoring.